Malromé has been part of Gironde’s history for five centuries, its vineyard terroir dates back to the 14th Century. In the 16th Century, Etienne de Rostéguy de Lancre – member of the Parliament of Bordeaux City and lord of Saint-Macaire and Rauzan – builds the « Maison noble de Taste ». The first marks of the domain date from this period. His brother, Pierre de Lancre, is known to have led the big hunt against witches from the Basque province of Labourd. The Lancre family remains owner of the domain during two hundred years. The castle is let in 1780 to Catherine de Forcade, Baron of Malromé’ s widow, who marks the domain of her personality giving it his name. In 1847, the castle is passed down to Jean de Forcade, President of the Council of State during Napoléon III’s reign, and his half-brother, the Marechal of Saint-Arnaud, Governor of Paris and Minister of War. They restored the castle in the style of Viollet-le-Duc. The Countess Adèle de Toulouse-Lautrec buys the domain in 1883. Henri’s mother is attracted by the proximity with Verdelais, important Marian pilgrimage site at the end of the 19th Century and with the Castle of Respide where her cousin Mrs. Pascal lives. Captivated by the castle, the Huynh family acquires Malromé in 2013. Passionate by art and heritage, they decide to make Malromé a place of celebration of Henri de Toulouse-Lautrec’s artwork and of contemporary art exhibition. The domain is submitted to a global renovation in order to welcome a large public, the work is realized in a preservation, transmission and contemplation spirit. Located in the South of Gironde in the Entre-Deux-Mers region, the domain is located in reality between two rivers: the Dordogne and the Garonne. 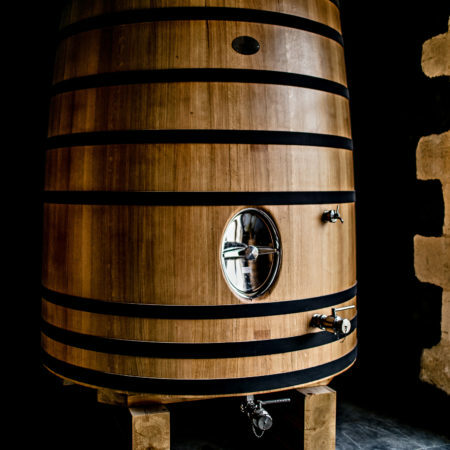 Malromé is surrounded by fields, woods and vineyards in the town of Saint-André-du-Bois among other big castles. In the middle of fifty hectares of a 14th century-planted park and his vineyards, the castle offers a main building with a big central and rectangular tower, two round towers at the ends and three wings surrounding a wide courtyard. Realized in the respect of material and architectural time codes, the renovating works have allowed the renovation of the family Toulouse-Lautrec’s apartments. 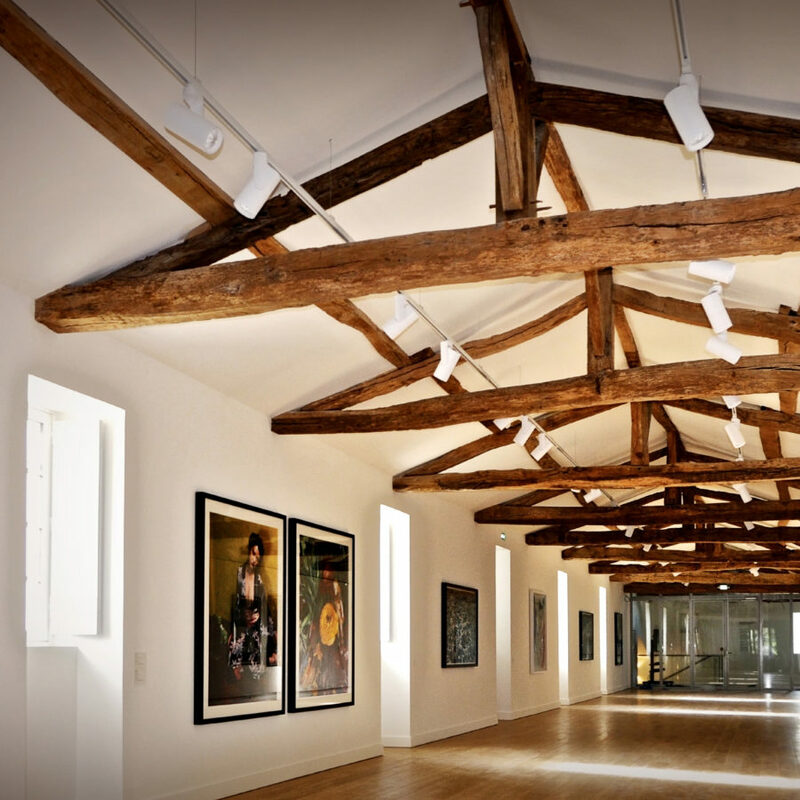 The Eastern wing has also been transformed in a contemporary art exhibition area upstairs and reception area on the ground floor. The courtyard welcomes from now on a summer scene as well as a tasting place “Le Café Adèle”. During the summer in Malromé Henri de Toulouse-Lautrec meets up with his favorite models, his mother, his aunt. He paints his aunt at the piano and Adèle in her bright living room perfectly oriented to read. The reconstitution of the apartments upstairs, immerses us in an aristocratic interior of the end of the 19th Century in a characteristic style of the Second French Empire. Upstairs while going through the rooms, we discover other reproductions, family photographs and lithographs, this new technic that Bonnard reveals to Henri. Pastels, oils on canvas and lithographs, give us an idea of the large field of his artwork. The tour ends with the posters room. He knew success from the first one : Moulin Rouge. Their diffusion reminds the one of japanese prints ; and it is a popular exhibition, in the street, that is going to insure this notoriety. He initiates publicity methods, by striking and synthetic images. He revolutionizes the poster art, gives it all its golden letters and brings it at a masterpiece level. Among his 368 lithographs, some of the most emblematic ornament the walls of this gallery. The Castle Malromé is one of the most ancient wine-making domain still in activity, it is located in an exceptional terroir. Its wine-growing project has been entrusted to M. Charles Estager, winemaker on renowned designations and whose expertise is well-known and rewarded for its quality. He is accompanied with the oenologist Bruno Lacoste. Each grape variety has its own maturity date, it is with the best care and at the right moment that the grapes are collected: first, the white grape varieties (Sauvignon blanc then Sémillon), then the red grape varieties (Merlot, Cabernet Franc, Malbec and finnally the Cabernet Sauvignon). The Castle Malromé is the exceptional convergence of a terroir, a site and a family attached to the values of creation and transmission. The Huynh family, invested in the preservation of a heritage, respectful of our roots, wants to pay tribute to Art, to our memory, to the French culture. It is a work of a benefactor rewarded by the label “Maison des Illustres” which guides us towards the future. 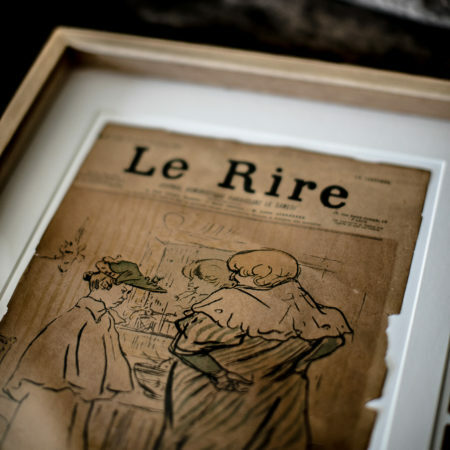 It is the spirit of Henri de Toulouse-Lautrec that inspires the Castle Malromé. It is a lively place, which celebrates the painter’s life and work. It is a place of revelation of the beauty, the truth, the passed marvels, and of our discoveries. Our emotions have been offered as a share to the biggest number, as indispensable food to our imaginations. Malromé is a lively space for Art, which keeps the memory of a painter who asserts his personality by ruthless screenshots about the customs of his time. The filiation of Henri de Toulouse-Lautrec is infinite. He has released the creation of all the academic codes. Malromé is the relay of his history and of the future, imagined by the contemporary artists. From October 6th, the artist Angélique de Chabot will be exhibiting at Château Malromé, following the exhibitions of Jérémy Demester «I raised my hand to greet the sun» and Tadashi Kawamata «Nuageux – Requiem for Toulouse-Lautrec». A new experience in autum colors will be offered to lovers of art and extraordinary. This free entry trip by Château Malromé reflects the Château’s desire to offer everyone a contemplative parenthesis in a place steeped in history and nourished by art. In this exhibition, the subjects photographed by Nobuyoshi Araki and Daido Moriyama singularly echo with the themes dealt with Henri de Toulouse-Lautrec. In front of intimate shots of women by Araki, we see the fascination of Henri de Toulouse-Lautrec for the feminine universe, sensitive, elegant and deeply human. The Tango Dancers of Moriyama inevitably evokes the taste for the show and the esthetic in the artwork « Marcelle Lender dancing the bolero » – 1899. The Eastern wing of the castle shelters a floor entirely dedicated to art. This important abandonned attic of 350 m2 has been transformed in order to answer to the demands of conservation and presentation of masterpieces. A first room will welcome original artworks of Henri de Toulouse-Lautrec, loans of benefactors. Following the space of mediation, delimited by big glass walls of workshop, is opened a gallery of 30 m2 lenght full of light, it will welcome contemporary artists during temporary exhibitions.